A graduate of the College of William and Mary (B.B.A. 1981), Ohio Northern University (J.D. with honors 1984), and the University of Miami (LL.M. in Estate Planning 1987), Laird is also a Certified Public Accountant (inactive, Florida). Laird authors articles and lectures on many estate and trust topics for local, state and national organizations. He is a frequent speaker at a variety of state and national legal conferences and seminars, including those organized by the Real Property, Probate and Trust Law Section of The Florida Bar and the American College of Trust and Estate Counsel. He has written extensively in his area of legal expertise for a variety of publications. Laird has been elected to the Board of Governors of The Florida Bar, whose 52 members are elected by the nearly 90,000 attorneys in Florida. He is one of two Governors for the Twentieth Judicial Circuit, which consists of Collier, Lee, Charlotte, Hendry and Glades Counties, in Southwest Florida. Laird currently serves as Board Liaison to the Tax Section of The Florida Bar and the Board Liaison to the Probate Rules Committee. He was appointed to the Strategic Planning Priority Subgroup, which oversees implementation of the 2017-18 Strategic Planning Priority adopted by The Florida Bar that addresses the Constitutional Revision Commission. He is a former Liaison to the Wills, Trusts and Estates Certification Committee and the Elder Law Section of The Florida Bar and is a former member of the Executive Committee of the Board of Governors. In August 2016, Laird was appointed by the Chief Justice of the Florida Supreme Court to a four-year term on the Judicial Management Council. The JMC is a focused advisory board that assists the Chief Justice and the Supreme Court in identifying potential crisis situations affecting the judicial branch and developing a strategy to timely and effectively address such events; evaluating opportunities to improve the performance and effectiveness of the judicial branch; developing and monitoring long-range planning for the judicial branch; and reviewing the various court and Florida Bar commissions and committees to recommend consolidation or revision. In September 2014, Florida Governor Rick Scott appointed Laird to the Second District Court of Appeal Judicial Nominating Commission for a four-year term. He has served both as Chair and Vice Chair. Laird was recently appointed by the Chief Justice of the Florida Supreme Court to a third term on the Florida Courts Technology Commission. This Commission is responsible for recommendations to the Court on all aspects of technology. Laird is one of three practicing lawyers serving on the Commission. 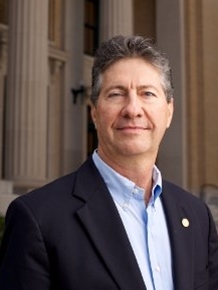 A past chair of the 10,000-plus-member Real Property, Probate and Trust Law Section of The Florida Bar (2004-2005), Laird serves the Section in numerous capacities. He is presently Liaison to the Clerk of Courts. He is a past Chair of the Legislation Committee, during which time Florida’s elective share law was enacted and the current Florida Probate Code was enacted. He is also a past chair of the Section’s Liaison with Corporate Fiduciaries Committee and the Strategic Planning Committee. Laird served as Co- Chair of a special ad hoc committee, the Trust Code Revision Committee, which developed the comprehensive revision of Florida’s trust law enacted in 2006 by the Florida Legislature. Laird received the Section’s Annual Service Award (1999) for his outstanding efforts and achievements on its behalf, the William S. Belcher Lifetime Professionalism Award (2009) and the Robert C. Scott Award (2010) for exemplary service. In the American College of Trust and Estate Counsel, Laird was elected to the Board of Regents (2013) and serves on the Practice Committee, the International Estate Planning Committee, and the Long Range Planning Committee. He is a past chair of the Fiduciary Income Tax Committee. He has also served on the Business Planning Committee, the State Laws Committee, the Program Committee, and the Transfer Tax Committee. In 2008, Laird was elected by the College as the Florida State Chair and served in that role through 2013. In 2010, Laird was elected to the Board of Directors for the ACTEC Foundation, a 501(c)(3), and is also on the Foundation’s Long Range Planning Committee. Laird is a member of the Planned Giving Committee for the Barbara Bush Foundation for Family Literacy. He was the founding Chair and serves as the current Chair of the RPPTL-PAC, a political action committee dedicated to supporting legislative initiatives concerning real property, probate and trust laws in Florida. He is a member of the Collier County Bar Association – which recognized Laird as its Attorney of the Year in 2007 – and is also a Founding Director of the CCBA’s Trusts and Estates Section. Laird has two children, Langdon and Linden Alise “Allie.” Laird is a past board member and executive committee member of the Florida United Methodist Foundation and served on the presidential search committee. He is a founding board member and past Chair of the Collier County Education Foundation and served as President of the School Advisory Council for Naples High School.